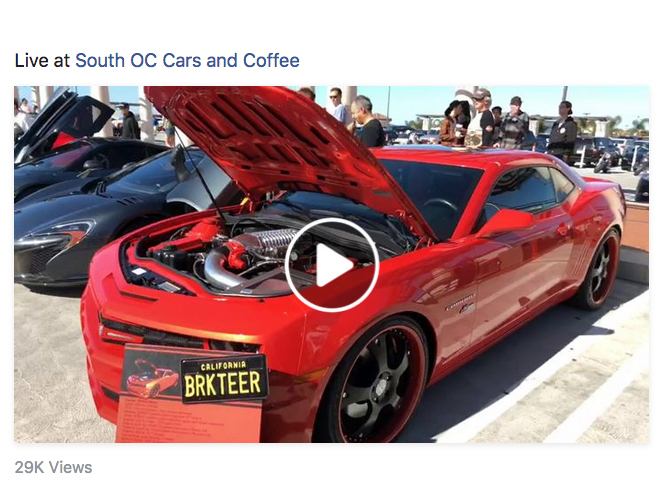 South OC Cars and Coffee is California's largest weekly automotive gathering, with between 500 and 600 vehicles and thousands of spectators attending each week. Our social media platforms now have over 10,000 followers, with 80,000 post reaches per week and the videos are getting up to 30,000 views and hundreds of likes and comments. Just as the event itself has become a community for automotive enthusiasts, so too the website will become a place for car lovers to keep up to date with the latest events, as well as sharing their thoughts, asking questions and even buying and selling via the forum.